When Zoo agrees to take part in a new reality TV show, In The Dark, she knows that she will be tested to the limits of her endurance. 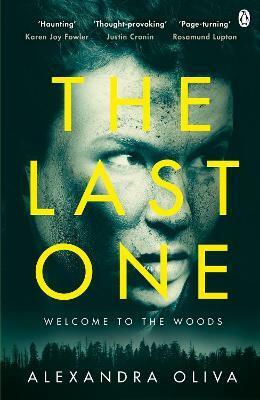 Beating eleven competitors in a series of survival tasks deep in the forest will be the ultimate challenge before she returns home to start a family. As the contestants are overcome by hunger, injury and psychological breakdown, the mind games to which Zoo is subjected grow dark beyond belief. This isn't what she signed up for: the deserted towns and gruesome props. Is this a game with no end? alone and disoriented, Zoo must summon all her survival skills - and learn new ones as she goes . . .
A graduate of Yale University, Alexandra Oliva grew up in a small town deep in the Adirondack Mountains of upstate New York. She earned an MFA in Creative Writing from The New School University and undertook intensive wilderness survival training while researching The Last One. She lives in the Pacific Northwest with her husband and their brindled mutt, Codex. The Last One is her first novel.